Alfredo Converso and Linda Osachoff are hosts at La Campagna Bed & Breakfast. Here is an authentic recipe for bruschetta from Alfredo’s native Puglia province. The style of cuisine there is known as “cucina povera”, literally “poor cooking” because the area has little industry and basically still agrarian. Pugliese make do with what little they have but depend upon the freshest best ingredients to do so. This recipe is inspired by Linda Osachoff, who is affectionately known as Mama Walker. 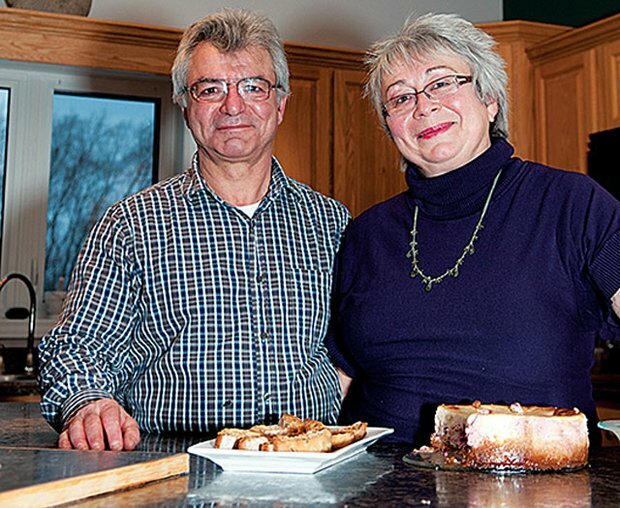 She serves a white chocolate and raspberry cheesecake made with her own raspberry jam at catering functions and at her bed and breakfast, La Campagna, 25 kilometres from Canora, Sask.